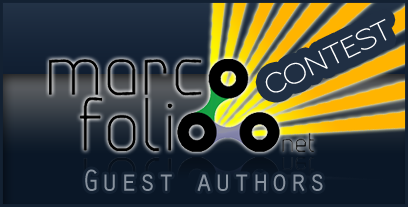 Just a little reminder of the Marcofolio.net Summer 2008 Guest authors contest. A while ago I told you about this contest with great prizes and the deadline will be this Sunday (30th of June). So if you still want to participate, please react fast. Good luck everyone! You would help me out big time too. For more information, please read the first article about this summer contest.